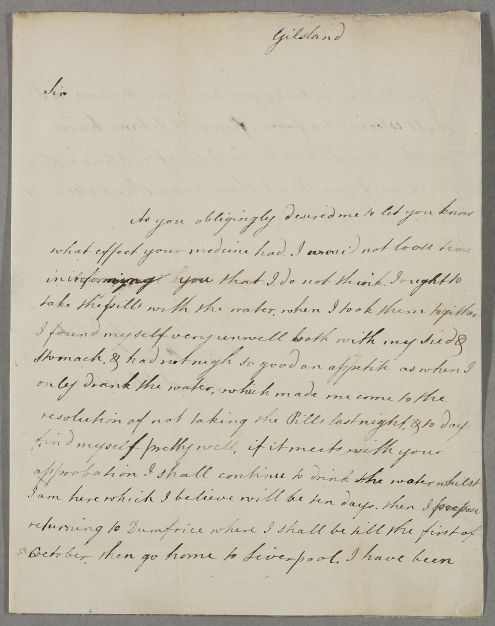 Letter from Margaret Johnston, concerning her own case. She asks for the response to be sent to Cowhill. The pills that Cullen prescribed made her unwell so she stopped taking them. 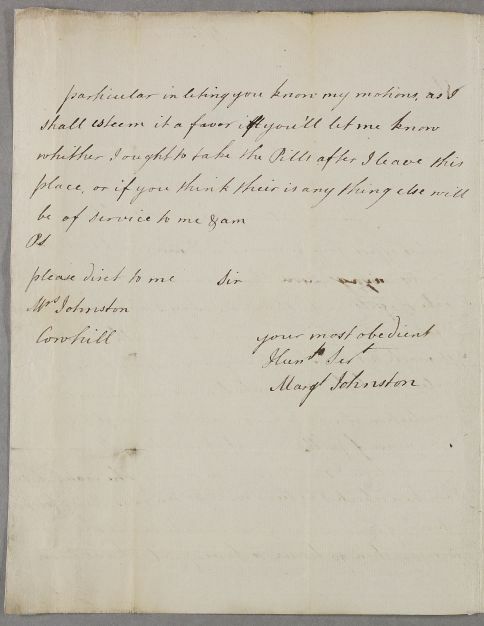 In his response Cullen indicates he waited until she was in Dumfries before replying, as Mrs Johnston had said she would be in Cowhill for ten days. Cullen did not know where that place was so waited until she was in Dumfries. That would make this letter written sometime late August. Cowhill Tower is near Holywood, just outside Dumfries. Summary Letter from Margaret Johnston, concerning her own case. She asks for the response to be sent to Cowhill. The pills that Cullen prescribed made her unwell so she stopped taking them. 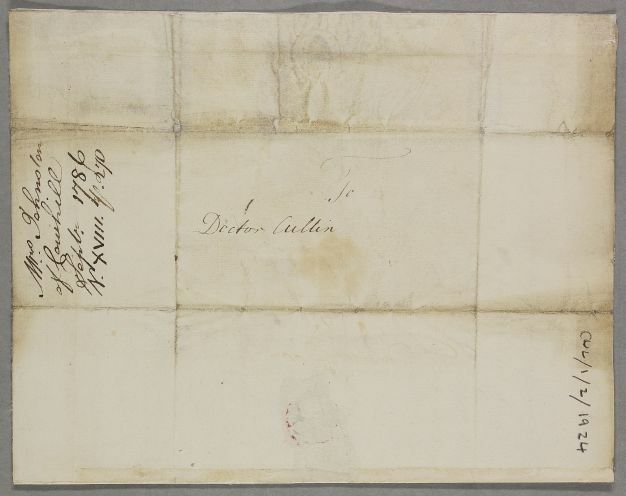 In his response Cullen indicates he waited until she was in Dumfries before replying, as Mrs Johnston had said she would be in Cowhill for ten days. Cullen did not know where that place was so waited until she was in Dumfries. That would make this letter written sometime late August. Cowhill Tower is near Holywood, just outside Dumfries. Case of Mrs Margaret Johnston of Cowhill, whose disorder is unstated, but the medication upset her stomach.